On behalf of the Geekettes team, we'd like to wish you happy holidays! As 2018 comes to a close and we reflect on what a big year the Geekettes has had, we immediately think of each of our members, sponsors and guest speakers. A big THANK YOU from all of us. - Love, Jess, Caroline, Hollie, Joanna, Claudia, Yulia, Irina, Dora, Mari, Steffi, Diana & Marily. "My journey began in February 2013. 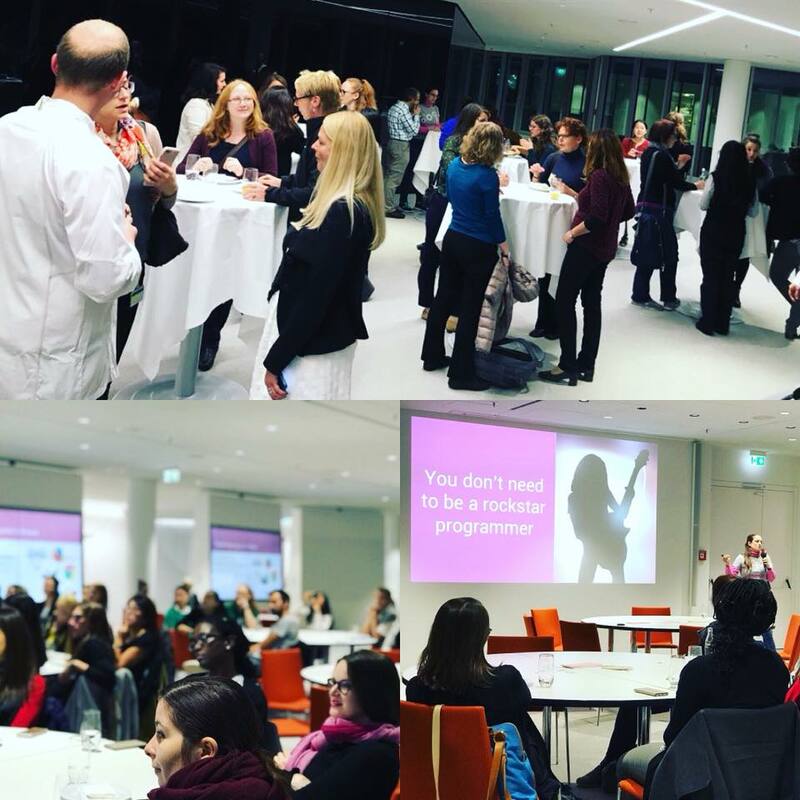 I attended the first Berlin Geekettes hackathon and immediately fell in love with the spirit and the atmosphere of this community. It was exactly what I - as a women in tech - had been missing. After a few calls with Jess she agreed on the experiment to launch a Geekettes chapter in Hamburg. We launched our hub at the Facebook office in Hamburg and never looked back. In retrospect we accomplished a lot. First we launched the 'Dine and Discuss' networking series (with more than 80 female speakers all together), two wonderful hackathons with 100+ participants attending each, panels at Social Media Week, a Code Talks conference, and most importantly plenty, of new connections and friendships established overtime. I am doing a PhD in applied software engineering, which means I get to teach students how to develop mobile applications! 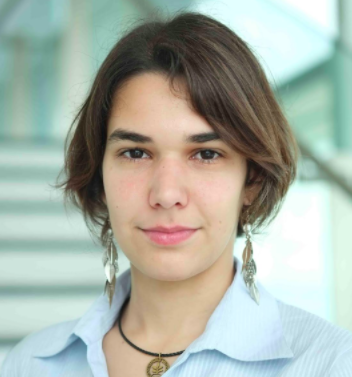 I am also a curator and speaker coach for TEDxTUM, a group devoted to ideas worth spreading in the Munich area, and I am a freelance trainer at HABA Digitalwerkstatt where we help children, parents and teachers to discover and learn to create things with digital technology. I see software engineering as a toolset to build solutions to whatever problems you see around you. It’s also a very collaborative and communicative field in which one gets to meet people from different backgrounds and learns to understand their issues. Why did you become a Geekettes ambassador? Having met many amazing women in technology, I stopped believing that both genders can’t achieve the same goals in these fields, and nobody can convince me otherwise. I hope that by fostering the Munich Geekettes community, we can do the same for our attendees. I like to give funny names to my digital devices. For example, my iPhone is called “Umberto”. Find the thing that makes you get up even though you are hungover, and go for it. I used to study electrical engineering - never finished though ;-) After that, I studied International Business Communications - which I actually finished. During my last semester at uni, I founded my first company in Munich. I haven’t stopped founding ever since. :-) Up until today I’ve founded 7 (tech) startups within the last 5 years. I absolutely share the Geekettes’s mission and I strongly believe that society as well as the corporate (tech) world can only benefit from empowered women. Munich needs the Geekettes and I’m happy to be able to contribute to that. Accept the challenge and celebrate failure! At least in my experience, that’s the quickest way to learn and grow. Born and raised in São Paulo, Brazil, it took me a computer science degree and countless memories in Munich to calm down from the crazy city. Some would argue I still haven't calmed down. After deciding that getting a fast degree wasn't really my thing, I spent the last year of my masters leading the WARR Hyperloop team, which eventually won the first ever SpaceX Hyperloop Pod Competition. Today I'm still ever-bound to university, and doing a PhD to try to figure out how we can optimize (city!) traffic. My friends. It wasn't until my longest friend ever started to study CS, and explained to me what it actually was, that I realized it was a perfect fit. How can you not love using logic and technology to solve a few of the world's problems? Add that and amazing people working on amazing projects, and you really do see the impact small groups can actually make. To help bring together some of the aforementioned amazing people working on amazing projects. I really feel that if people talked (and listened!) more to another, human potential could be increased by orders of magnitude. Also, we are all women with similar problems, and hopefully by telling others how we overcame them, some more women can apply to the field. I can prepare exactly one brazilian snack, and bring the same thing to every "Represent your country" event, but since it's always a different group, people think it's awesome. Germans really do like it. I buy the dough mostly done. Don't be scared, but more important than that, don't give up on the things you believe in. I don't know anyone who ever succeeded in anything, that didn't question it 135436397 times before if it was actually going to work. Happy birthday BGs! In five years, our Berlin community has grown and blossomed into something more than just a network — it feels more like a movement. It’s been an honor working alongside an incredible group of people who have volunteered thousands of hours to help build our talks, workshops, hackathons and mentorship programs. These basic building blocks have connected women through a grassroots structure and created a space to share wisdom and experience. It’s been a pleasure to watch the interaction between the women in our community and to see the shared value in helping one another. We’re one step closer to closing the gender gap but still have a lot of work ahead of us. On February of 2011, we gathered in a small Thai restaurant in Mitte and somehow I felt quite at home, I finally found my tribe. Towards the end of the meal, I looked up and asked “what if we were to form a group? 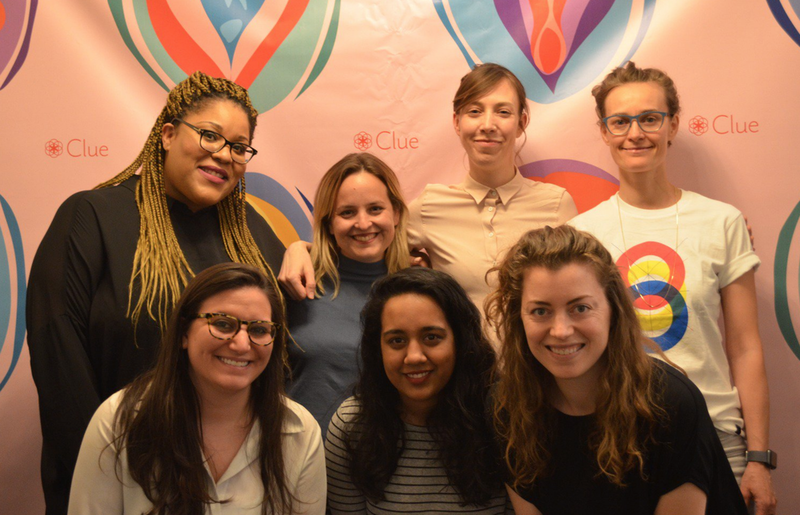 A support network of women and call it…..Geekettes? !” And I still remember Jeannette Gusko’s eyes lighting up with an enthusiastic reply “YES! We must! We will!”. It was a no brainer, the women at dinner fell in love with the idea and within 24 hours we had a private Facebook group, invited our friends and a logo was created by a very talented Berlin-based designer Nadja aka Artcore. Et voila. Geekettes was born. Once we recruited more women into our Facebook group, we reached a critical mass and hosted our first event at the beautiful home of Zoe Adamovicz. Women from all corners of tech joined for mimosas in the sun. Together we shared our personal stories and mapped out some initial plans for the year. So we threw everything at it, our energy, time and resources to grow this community. The Berlin hub origins began with designing and experimenting using new formats. Our vision was to create an environment that was reflective of Berlin. How do you build an event that attracts and delights? How do you build a workshop that unites and educates? We asked women around us and their responses ignited a laundry list of ideas. Fast forward to winter 2012, I partnered with Geekette’s first co-founder Denise Philipp and lead evangelista Lisa Lang. We met at the first Rails Girls meetup in Berlin and there was a profound connection between the three of us. Denise also joined me at General Assembly and we created hundreds of workshops around coding, design and entrepreneurship. And guess what? Half of our classes were filled with Geekettes! Our journey felt like climbing a mountain, as each week presented new challenges & higher peaks. The resilience and teamwork from the Geekettes enabled a trust system for us to lean on. We built a community of teachers and learners by uniting them in a thoughtful way. We wanna give a big high five to all of our hardworking instructors and volunteers, none of this could have happened without you. And of course thank you dear Lisa for being so supportive of the Geekettes not just in Berlin but all over Europe and the United States. Not everything was perfect. We also had our fair share of doubters but we chose to ignore them and pushed forward with our plans. We found willing collaborators, passionate sponsors and we were able align our personal goals with nearly everyone around us. From techno producers to HR heads at major corporations, we discovered a deeper connection to the movement and an urgency to drive more women into our industry. Berlin’s DNA played a critical role in how we constructed programing & outreach. Art, tech and mentorship were some of the key ingredients that resonated most with our community. We didn’t know what we were doing or where we were headed, it was all so organic in the beginning. We filled gaps and provided support for women at all levels of their careers. Again, not everything was peaches and cream. There was an element of anxiety that went along with this process. Denise and I were unsure if we’d raise enough sponsorship money, if we’d be able to feed ourselves each month, or if women would continue showing up to participate. After trials and tribulations, we finally hit our stride and women were coming out of the woodworks to join us and companies were supporting us left and right. Then came the next generation of ambassadors, Anita Heiberg and Alexa Shoen. And as true community builders, they set out to continue what we had started but added their own personal touch and approach. Berlin continued to evolve as did the Geekettes community. Thank you for all your amazing work over the years and carrying on the torch for us! Over the years, I’ve had the wonderful opportunity to build personal relationships with brilliant women of tech across the globe. Women pioneering their own businesses, building their own products, creating communities and inspiring the next generation to follow in their footsteps. After much consideration, we’ve decided to slowly expand the Geekettes footprint beyond Germany and unite women across Europe, America, Middle East with hopes of someday expanding to Asia, Latin America, Africa and further beyond. But we will never forget that Geekettes was born in the city of Berlin. A city that continues to push forward, to build, to unite. I’m really looking forward to 2017, this is the year that I believe we will see a continued evolution for women in technology. With programs and funds sprouting all over the world to support women, we’re definitely going to see some big progress. More women will begin starting their own businesses, breaking into engineering roles and pioneering fresh ideas within the industry as a whole. I’m more confident than ever before and very excited to see what our new ambassadors will create in Berlin. (announcement coming soon). Until then, join Lean In’s newest Regional Ambassador, Irina Botea on International Women’s Day for a session “Body Language in the Digital Era”. RSVP HERE.